We are a mere month away from 2010. Due to the wonderful distraction of Christmas, the new year will be upon us before we know it, which can only mean one thing for us gamers: Our wallets will be crying. I cannot think of any other upcoming year that has been so exciting in terms of the future of games. 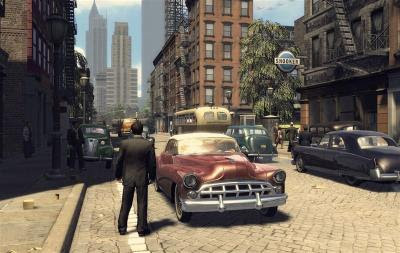 Whether it's anticipated sequels like Final Fantasy XIII and Super Mario Galaxy 2; a return to franchises that we haven't seen for a while such as Mafia II and Red Dead Redemption; or the introduction of new, potentially awe-inspiring IP such as Heavy Rain and Alan Wake, there is something for every kind of gamer and as a fan of the industry who is passionate about its progress, that's incredibly exciting. Of course, the incoming year wouldn't be so packed to the brim with titles if a few (read: a lot) didn't get delayed from this year's holiday line-up. 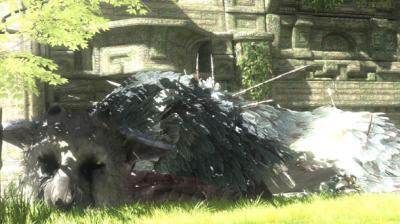 Extra polish, a desire to release in a not so hectic release environment or unforeseen events such as the economic climate are all contributing factors to the delays and while it allowed 2009's games a bit more breathing space, the end result is extra games to consider throughout the entirety of next year. As much as we may like to try, there is no way we can afford or play every single game we may want in the coming year. Even with the release line-up seemingly spread out (makes for a nice change from the 'pack everything into the one quarter' mentality of previous years, doesn't it? ), it's just too much to take on in the short span of 12 months. Inevitably titles will be passed on until a more relaxed time, while others may be, unfortunately, overlooked altogether -- whatever takes place, there is no denying the year is packed and approaching it is a lot harder than it may sound. Which brings me to my current conundrum: How do I approach it? Unless further delays occur or anything else unforeseen takes place, 2010 seems to be the year that I will finally get to play games I've been waiting years for. From BioShock 2 and The Last Guardian to Heavy Rain and a new Gran Turismo, my anticipation for these games is exponentially high, and I look forward to finally having the opportunity to play them all. But, we're still in the year of 2009, a year that's seen some absolute gems released such as Uncharted 2: Among Thieves and Assassin's Creed II. Earlier in the year we had Flower, GTA: Chinatown Wars, Batman: Arkham Aslyum and inFamous, to name a few. Before that, 2008 inundated us with quality titles -- a lot of which I'm still getting around to playing. The point is, over the past three years or so a lot of fantastic, innovative, charming and exciting games have been released. Anticipation and hype aside, why should I be rushing to play the forthcoming games? Is there any reason why I should be getting these games on release -- regardless of my excitement towards them -- when I already have a lot of quality titles to choose from or catch up with? Basically, I can't decide. I have been waiting years for some of these titles. Others, like Okamiden, have only just been recently announced. A quick glance at my collection reveals titles like Far Cry 2, Prince of Persia and The Legend Of Zelda: Phantom Hourglass all waiting to be played. Whether I look to the past, the present, or the future, there is an ubiquitous quality; choosing which to focus on is a problem I'm sure many share with me, but I don't doubt for a second that, if given the option, they would concede their position in favour of less overwhelming times. It may be a hard situation to approach at times, but it's a privilege I'm willing to be thankful for, and really, so should any gamer who is lucky enough to be able to head into 2010 with a mass of titles to look forward to. So with all that said and done, bring it on -- it's going to be one incredible ride. Completely agree, but 2010 won't be 2010 for me without Mass Effect 2 - that's the big hitter that I am deliberately keeping my gaming calendar clear for. Michelle -- Absolutely. Mass Effect 2 is high on my radar and the fact it is first off the rank, for me at least, is awesome. I do kind of wish it was a little later in the year though. Being an RPG we already knew it would be a big game, but now with word that it will come on 2 discs, it sounds like it could be even bigger than we imagined. As I mentioned in the post, I've already got a fair bit to play -- that will never change -- so such a time-sink, particularly after BioWare's other release in Dragon Age: Origins, is both a blessing and a curse. Doesn't matter though really. Like I'm going to pass up on the sequel to one of my favourite 360 games so far.